One of the best quotes by Nick Vujicic, a motivational speaker who was born with a rare disorder characterized by absence of all four limbs, goes like this: “For every disability you have, you are blessed with more than enough abilities to overcome your challenges.” This couldn’t be more true for Michael “Mike” Timble, a 27-year-old from Pittsburgh, who was born without arms, but has bravely refused to succumb to his disability. 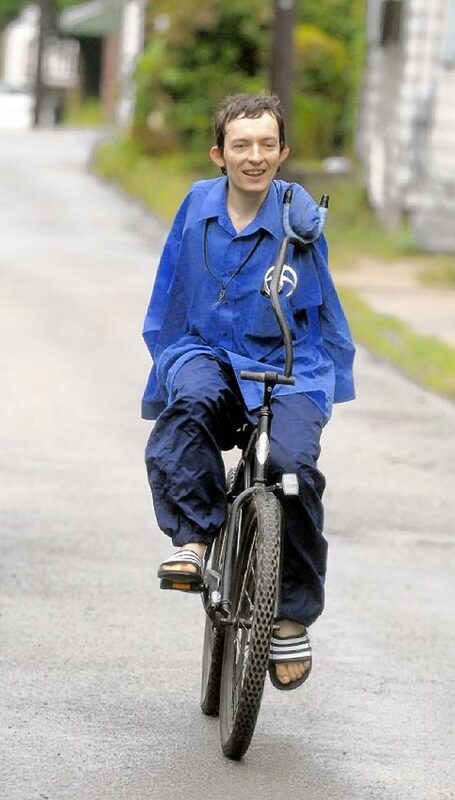 Since no obstacle was too great to overcome for this young man, Michael set out to get himself a bicycle. If he could graduate political science from Duquesne University, he could sure find a custom-made bicycle for himself. Michael was born in the former USSR (Ukraine), in the Chernobyl area, with birth defects as a result of the 1986 nuclear devastation there. After spending nearly nine years in a local orphanage, Mike was adopted by a family from Pittsburgh. The first time he rode a bike was in boarding school when his gym teacher replaced the bike’s handlebars with a metal pipe reaching out to one of Mike’s stumps. Last year, Mike bought a single-speed bicycle and started searching for someone to customize it. Well, that didn’t go smoothly! 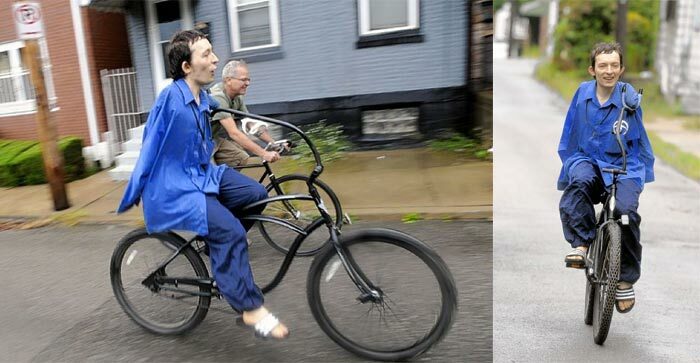 Michael Brown was able to retrofit the bike to resemble the one that Mike’s gym teacher customized for him years ago. 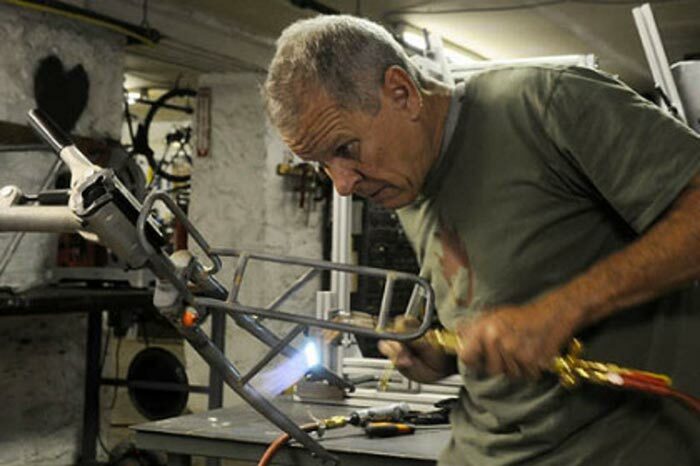 Mr. Brown says that he “spent a lot time sitting on the bicycle, visualizing how the handle will work, how upright it has to be, how much weight I need to put on the front wheel to stabilize it.” It took almost two months for Mr. Brown to come up with a solution – a bike that had a U-shaped single-sided bar instead of original handlebars. It took Mike only 30 minutes to get the hang of it and ride unassisted.